The Piriformis is a muscle located deep in the buttocks. The origin of this muscle is the front part of the sacrum and the insertion is the greater trochanter of the femur. The Piriformis muscle is innervated by the Nerve to the Piriformis from the L5 to S2 segments of the spinal nerve. The main action of this muscle is to lift and rotate the thigh away from the body. This allows us to walk by shifting weight from one foot to another and maintain balance. The Sciatic nerve passes beneath the Piriformis or part of the nerve pierces through this muscle and travels down the thigh. Piriformis muscle tightness or spasm will irritate the sciatic nerve and cause a painful neuromuscular condition commonly called Piriformis Syndrome. Typical symptoms of Piriformis Syndrome include tenderness or pain in the buttocks, radiating pain or numbness down the back of the thigh and leg and low back pain. Symptoms of this condition may be aggravated by prolonged sitting or driving, activities involving rowing in a seated position, running, lunging and cycling. Any activity that could compress or stretch the Sciatic nerve would cause pain in the buttocks and referred pain down the leg. Muscle imbalances between the hip abductors and hip adductors also increases the risk of developing Piriformis Syndrome. Females are more susceptible to Piriformis syndrome due to differences in pelvic structure, greater Q-angle, and hormonal changes during pregnancy. All of these will affect the joints, muscles and nerves around the pelvis. Most causes of Piriformis Syndrome are from chronic repetitive stresses on the muscle. Try to avoid activities that will trigger the pain. Avoidance of prolonged sitting is recommended. Take a short break every half an hour. Pain-free gentle stretching exercises for tight muscles and strengthening exercises for weak muscles around the hip joints are recommended. Proper warm-up and cool-down sessions are recommended. 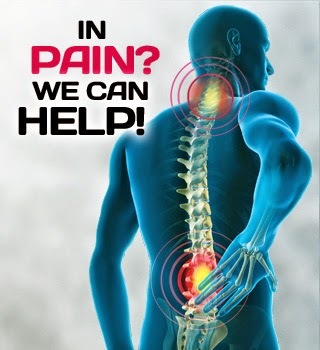 If you are experiencing the symptoms that we mentioned above and you suspect theirs is a problem,we are here to help as many as possible with pain. Our goal is for a healthier community. We have the skills, knowledge and advanced technology. Call or visit one of our centers to truly experience a non-surgical world-class spine, joint and sports injury treatment center. Females are more susceptible to Piriformis syndrome due to differences in pelvic structure and hormonal changes during pregnancy. All of these will affect the joints, muscles and nerves around the pelvis. In this condition consultant suggest him proper rest and headaches Canberra therapy treatment. Which effect rapidly on human body help in rapid recovery.